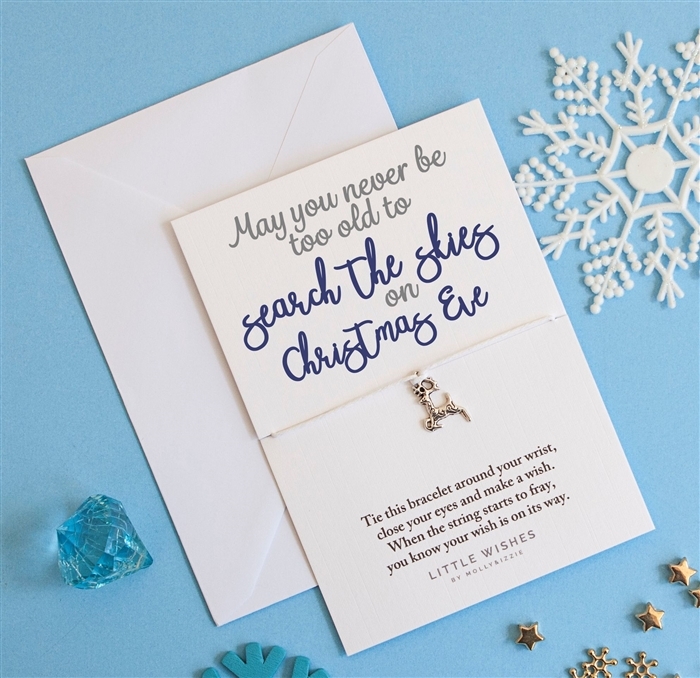 This beautifully crafted Christmas bracelet, has been lovingly sourced by our Head of Gifting, Sparkles Elf. This single cord bracelet has a silver replica of Prancer, and features a beautiful message printed on snow white card. It’s a gentle reminder of the magic of Christmas, which we can all still experience, if we just believe. Perfect for sending to loved ones near, or far, and letting them know how much they are loved at Christmas, and throughout the year.